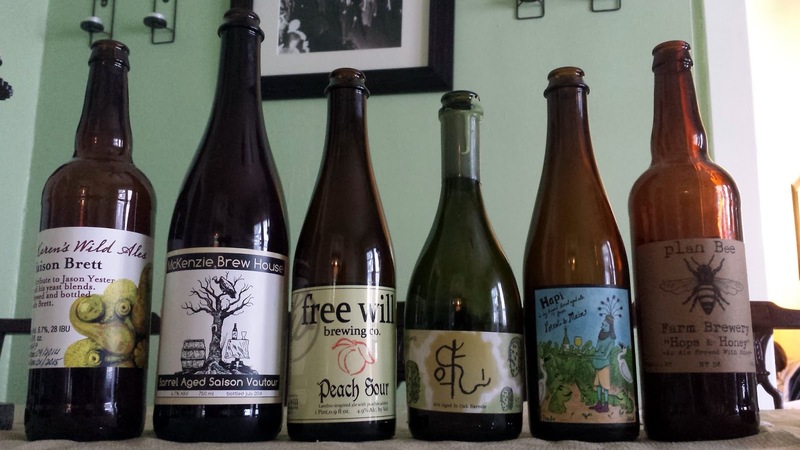 A record of my successes and failures with all things fermentable (aimed at people who have at least a basic knowledge of beer brewing). While I focus on beer and sour ales especially (Lambics, Flemish Reds, Berliner Weisse, as well as my own creations), I also touch on many other fermented beverages and foods including sourdough bread, charcuterie, sake, wine, mead, not to mention cooking in general. The excitement over hazy/NE IPA is the best thing that has happened for local breweries in a long time. They are expensive to brew, difficult to package, a nightmare to distribute long distances, and get beer drinkers excited! When we put a juicy Double IPA on tap it flies. Our recent 7-barrel-yield of Snip Snap lasted less than three days, while an IPA might last three weeks, and a pale ale five. Having a beer that draws increases growler sales, and helps sell all of our other beers as people end up trying other similar beers when they come in. Here is a graph of the scores of 13 of our hoppy beers (pale ales, IPAs, and DIPAs) showing the Untappd score compared to the ABV. The formula for the trend line is y = 3.2008+.1392*x. That suggests if we brewed a 0% ABV hoppy beer it would score a 3.20 and to get a score of 5 would require 14.31% ABV. The R-squared value of the correlation is .71, so the most important factor in the consumer's opinion of our hoppy beers is strength (granted that typically comes with a higher dry hopping rate, sweetness etc.). Driving business to your tasting room is job #1 for a small brewery because that is where the profit is highest. When you buy a beer at a bar or restaurant, most of the money goes to them rather than the brewery. 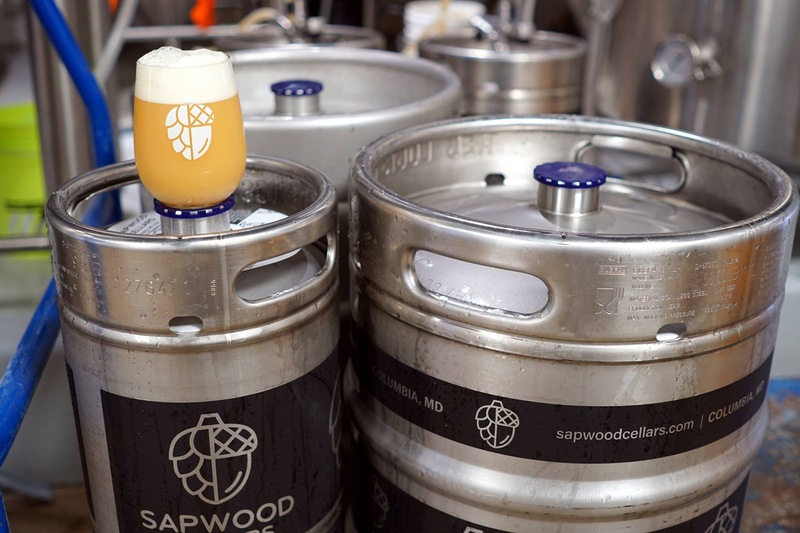 While a ½ bbl keg of a pale ale might sell to a bar for $150-175 (a portion of which might go to a distributor), at even $5 pint the bar makes $620 in revenue. At our scale, it is almost impossible to make a profit only selling beer at wholesale. It requires a tight reign on expenses with a premium price point, not to mention low overhead. It is no coincidence that local brewery booms seem to follow when a state or city allows production breweries to serve/retail their own beer. 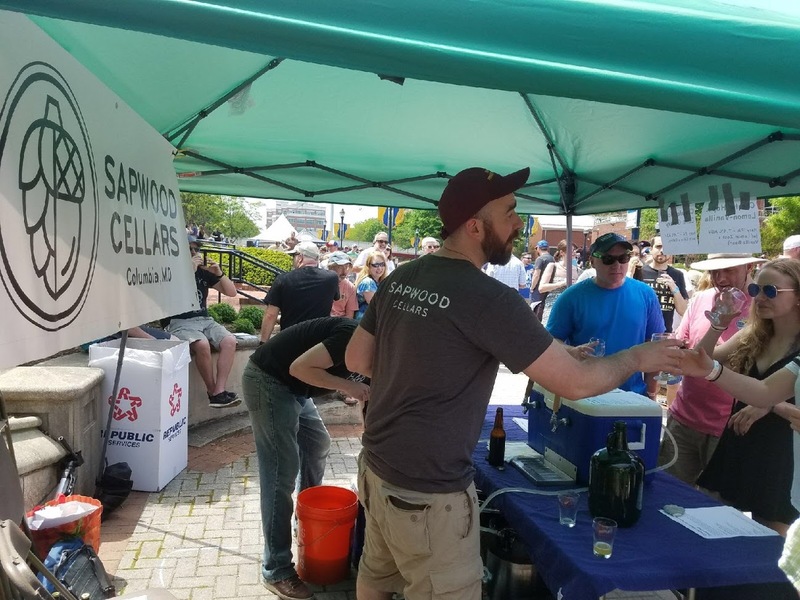 In the case of Maryland this has created backlash from distributors, and a lesser extent bars and liquor stores who see more consumers cutting them out. We aren’t doing a great job controlling ingredient costs. 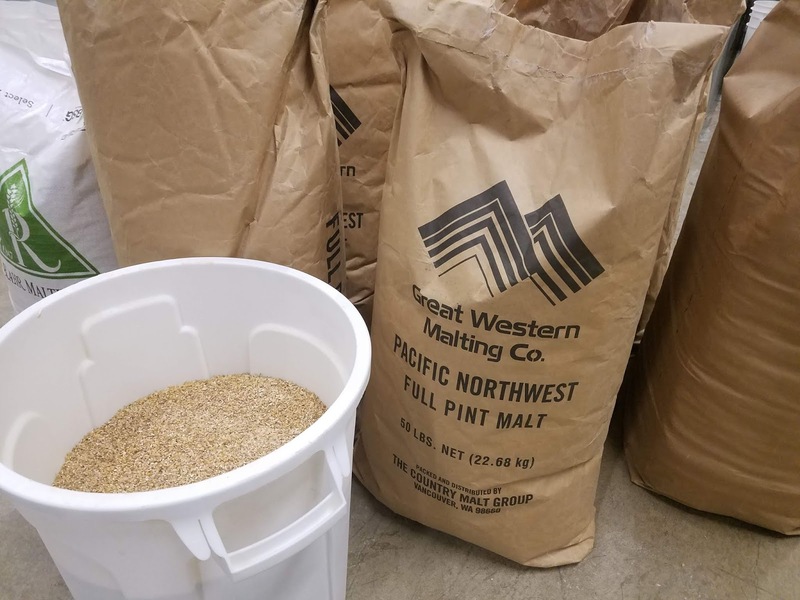 We don’t reuse our yeast nearly as much as we "should" (3-4 batches per pitch), we pay as much as $35/lb for hops that are difficult to get on the spot market, we buy our malt pre-milled by the bag, we use expensive “real” ingredients for our variants (and usually don’t up-charge over the base beers) etc. That said, having a tasting room that is busy covers all of those sins. Let’s say we put more effort into yeast management and that gives us confidence to reuse the yeast for 20 batches. Bringing the proportional cost down from $125 to $25 per batch. The net savings to us would be $.05 per pour. What if we moved to a silo for 2-row, and cut our base malt cost down to a third and added a mill? $.14 per pour. That would make Pillowfort ~$.92/pour. Granted these recurring costs add up over the course of a year and both might yield improvements to the consistency and quality of our beer. But selling just one 1/2 bbl keg to a bar, even charging $250, loses us more money per batch then we’d save from making those moves. It also speaks to how important yield on these heavily dry-hopped beers is. When we do send kegs out, we try to get as much of a push out of it as we can (fests, tap-takeovers, beer dinners etc.). We don't pay for any traditional advertising, but we view the "losses" from self-distributing as a form of marketing. That also means not always sending beer to the same bars, as we want people to feel like they have to come to us to try our beers regularly. Most bars use a flat percentage markup to price their draft. If a beer costs twice as much for them to purchase, they’ll charge twice as much to the consumer. That means that they’ll make a much larger dollar-per-ounce profit on more expensive beers. The same isn’t true at most breweries, an IPA with Nelson Sauvin or Galaxy is easily twice as expensive as a session wheat beer (especially considering the lower yield with high dry-hop rates), but we don’t double the price. Still, charging $7 for IPA and $6 for the session wheat makes the IPA more profitable per pour. When you visit a brewery and buy beer, you’re allowing them to spend more money on the ingredients and make better beer. Not to mention that the brewery will care more about their beer and have better control over the product. After ingredient cost, our next biggest expense is rent. Scott and I debated where to open and toured spaces with a wide range of looks and costs. 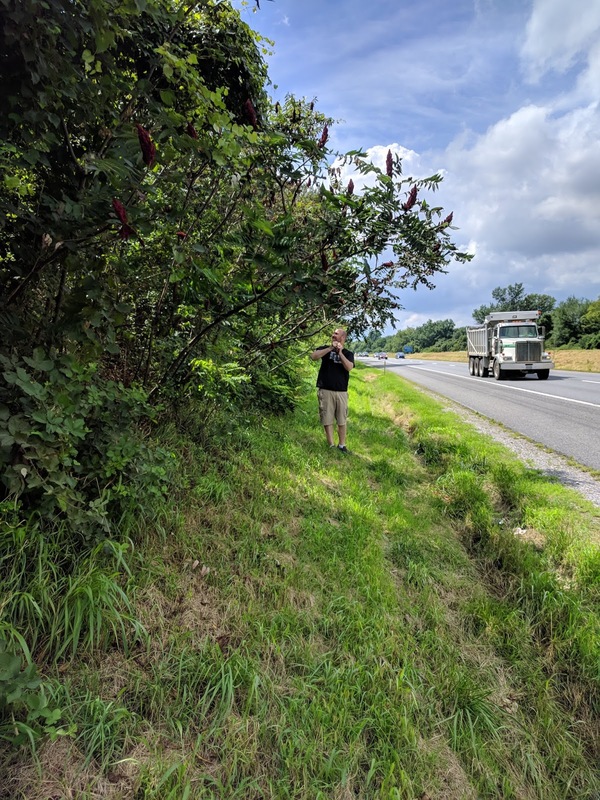 While a beautiful rustic plot with room for outdoor events and a small orchard was appealing… either running on a septic or paying hundreds of thousands of dollars for a municipal sewer connection was not. Conversely, opening in a vibrant downtown with plenty of foot traffic would have meant easier retail sales, but would have tripled our rent. Brewing is a space-intensive manufacturing business (especially with barrel aging), it is difficult for me to justify paying $30+ sq ft for the parts of the business that aren’t customer facing. If we are able to brew enough to outstrip tasting room demand, we’ll look into opening a small taproom someplace other than an industrial park. For the time being, our location is close enough to residential for the tasting room and inexpensive enough for 4,000 sq ft of production. Luckily the power of Google Maps, Untappd, and social media has been enough for us to draw people in. In addition to the ability to sell beer by the glass, a tasting room opens up the way for merchandise sales, private events, packaged beer, and even food sales (working on that now). It has been essential for us to have a space and offerings that attract customers, even those who aren’t beer nerds. A fantastic staff, and enough of them working for short waits also improves the customer experience. Salaries are the third big expense. Scott and I have done 100% of the brewing, tank cleaning, kegging, and keg washing up to this point. Financially speaking, our labor has been free, but we certainly could have kept our day jobs and paid less-per hour than our lost wages to hire brewers and cellar-people. That said, it didn’t seem right to trust something we’d worked so hard for to other people. As I learned from consulting, the people who are physically there have the biggest effect on the results. We’ll be looking to hire someone in the brewhouse soon, but we’re still trying to figure out what the role will be (cleaning and cellar duties, or someone who already has the skill-set to be a lead brewer eventually). We were willing to pay for front-of-house, as that is where we didn’t have experience (or the time to learn). I posted about Brewery Clubs a few months ago. As a brewery that didn’t take on outside loans or investors, the extra money we brought in from club sales was essential. It gave us the breathing room to buy more expensive equipment, ingredients, not to mentions barrels for beers we won’t sell for months or years, and dump most of a batch that we didn’t love. Padding in the bank account helped with our sleep those first couple months too. We’re now “paying” some of that money back. We made it through the club holiday events, for which we created 16 sixtels of variants that we didn’t sell a drop of. Not to mention paid employees to work (and at $15 an hour as tipping was light without tabs). Most of that cost was in our time, but we’ll continue to incur costs as we give bottles, decanter baskets (below), and events that club members paid for last year. Not only do we want to ensure that customers (and many friends) are happy they joined, we’d like to over-deliver so many consider re-upping for 2020! The rest of this year our biggest focus will be on packaging. Direct sales of canned and bottled beer should give us the chance to increase total revenue, but it will also lower our per-ounce revenue. While many people are willing to pay $8 for a 14 oz pour of DIPA... $5 for a 16 oz can of the same DIPA is about the top of the market. 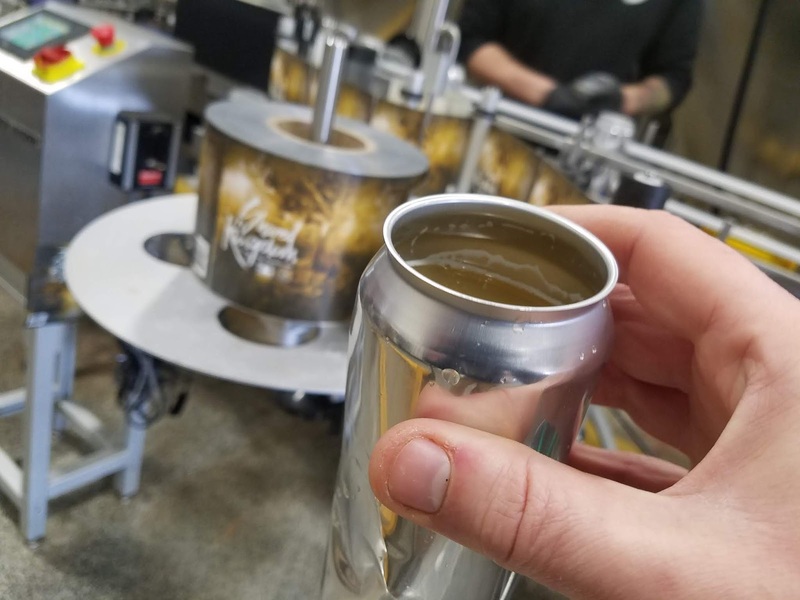 Cans have higher costs associated with them as well, both in terms of labor and materials (especially when you don't own a canning line). That really slims down the margins, and will dictate which beers are more likely to be canned (e.g., Pillowfort with Azacca rather than Snip Snap with Galaxy). The most important thing for us will be avoiding turning draft sales into can sales. Ideally cans are an add-on to tabs or an additional trip for a release rather than a replacement for draft consumption and growlers. 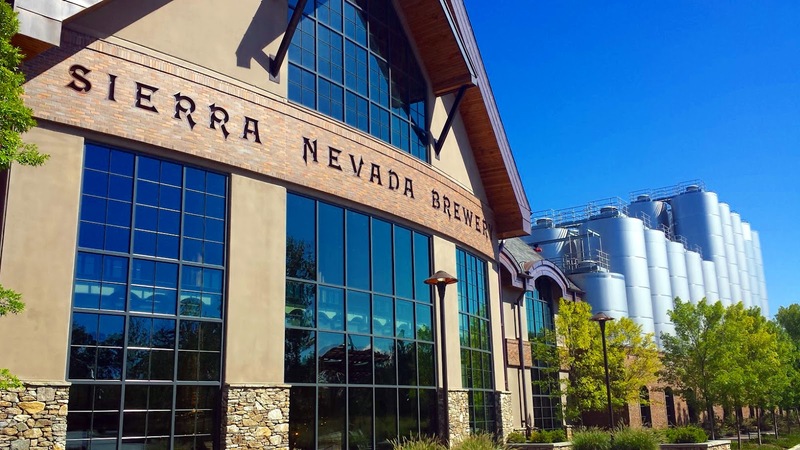 What makes sense for a brewery will depend on the types of beer they brew and their goals as a company. If you want to be a large production brewery, it may make sense to start fighting for draft accounts early. We don’t have any resources dedicated to outside sales, in fact we turn down most offers to put our beer on tap. We’d rather have an excess of demand, and be in strong position rather than fight for a limited number of tap handles with an ever-increasing number of breweries. Having the huge catalog of homebrew recipes between the two of us has been a big advantage too. On Saturday we tapped a scaled-up version of Atomic Apricot. The price difference on the apricot puree was particularly stark, $1.71 per pound at the commercial scale vs. $7.84 for the same product (Oregon Fruit/Vintners Harvest). 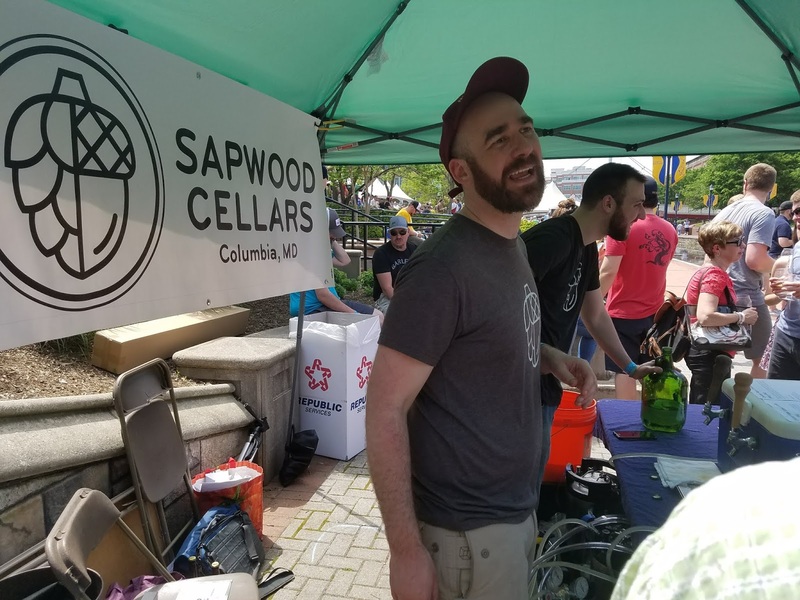 I haven't been doing much homebrewing or test batch brewing so most of my social media posting has moved to the Sapwood Cellars Facebook and Twitter accounts (Scott does Instagram because I usually avoid posting from my phone). Am I a Better Craft Brewer or Homebrewer? 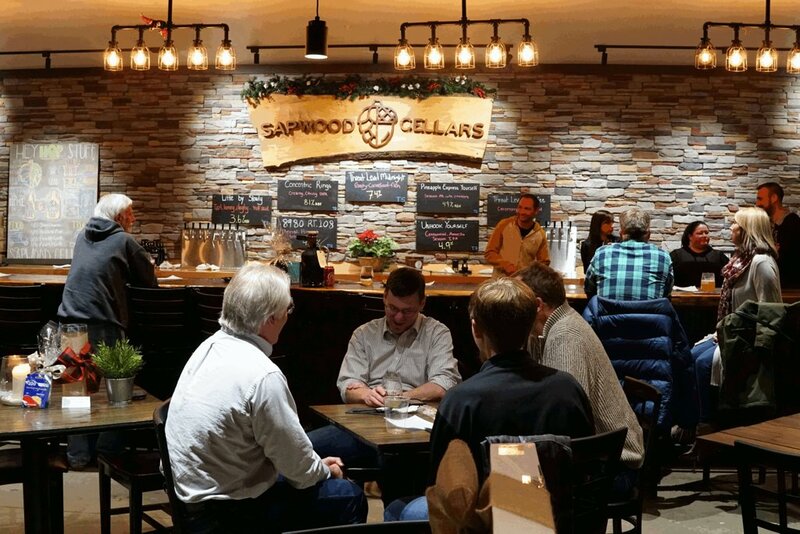 We're doing pretty well at Sapwood Cellars so far. Our most recent batch of Snip Snap (Citra-Galaxy DIPA) only lasted 2.5 days on draft, about 200 gallons drained by the pour and growler fill. Ratings on Untappd were stellar. Is this how good Scott and I were at homebrewing or is our new 10 bbl brewhouse and temperature controlled fermentors making our beer better than it was? I shot video of the big batch of Snip Snap and brewed a small batch at the brewery with my old pots and fermentor. We tried to keep them as identical as possible, using malt/hops/yeast from the same bags for both batches. I sampled both beers blind, and we served them to 49 customers in the tasting room to see which they preferred for this Video! Brewing beer at home changed the course of my life. At first it was merely a fun way to explore my drink of choice, and an excuse to hang out with friends. As time passed it became a larger part of my life, a side-hustle, a reason to travel, altered who I am. I always hated public speaking… until I figured out that I’m engaging when I care about the material. I was never passionate about reading, researching, and writing, until they meant I could learn to brew better beer and share my passion. 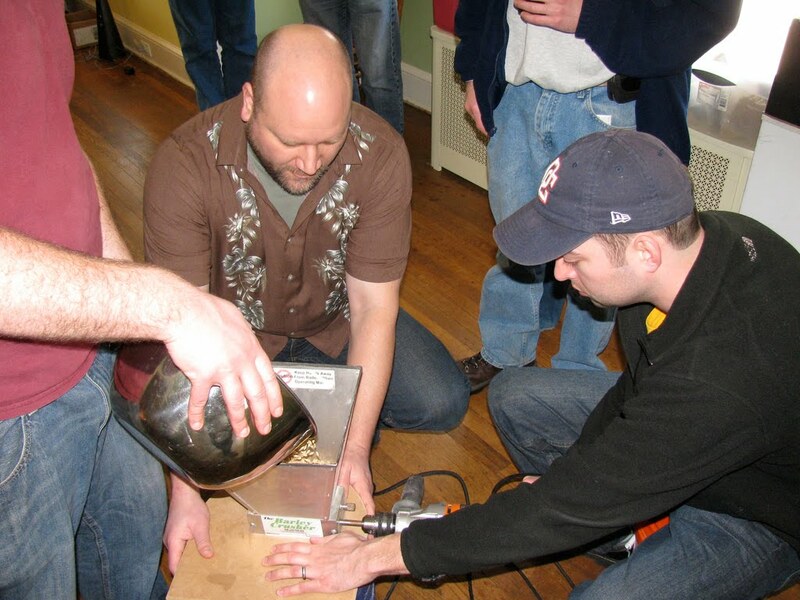 I met many of my friends at homebrew club meetings, through this blog, and homebrewing forums. I worked a boring government desk job for 12 years, until brewing allowed me to open a business! That’s why I'm sad that homebrewing is on the decline in America. I see it at DC Homebrewer’s meetings, where there aren’t nearly as many fresh faces as there were five years ago. The closures of retailers, like the recent announcement from Love2Brew. The surveys from the American Homebrewer’s Association gives hard numbers: from 1.2 million homebrewers in 2013, to 1.1 million in 2017. By the early 1990s most parts of the country had a selection of bottled craft beer from the likes of Sierra Nevada, Boston Beer, not to mention a few local breweries. No longer were beer drinkers limited to macro lagers and stale impotrs, because hoppy pale ales, malty browns, and roasty stouts were available coast-to-coast. I've met a few former homebrewers who thought that was enough selection to make homebrewing superfluous. There were still plenty of people who wanted to drink a wider range of styles though, and that still meant brewing their own. In the chart below, the red line represents Google searches for "Brewery" the blue is "Homebrewing." December 2008 is the closest they have been (29 to 13), while July 2018 was the furthest (100 to 5). That's to say that while search interest in breweries has more than tripled over the last ten years, during the same time interest in homebrewing has dropped in half. I don't view automated homebrewing systems as a threat to traditional homebrewing or a big boon for the hobby. If I hear one more new product that bills itself as the “Keurig” of beer… I’m going to lose it! It isn’t even like Keurig is synonymous with high quality coffee. I just don’t see any product that makes brewing that easy gaining a strong foothold because brewing beer involves more care than coffee and to-the-minute freshness isn't as important. You can buy a six pack at the store for less than it takes to brew these, and enjoy a bottle each night. The automated systems will always make beer that isn't as good as commercial, at a higher price-point. Not that automated wort production isn't appealing (and useful) for homebrewers looking to devote less time to the process. My best guess is that we're reaching stasis. There won't be a return the levels of excitement and engagement we saw ten years ago. There will still be plenty of people who drink craft beer, and try their hand at homebrewing, but only enough to replace all of the homebrewers who stop to drink craft beer or join the industry. Drinking beer wouldn't have done the same thing for my life as homebrewing. An active engagement with brewing is the best way to really understand and appreciate beer. 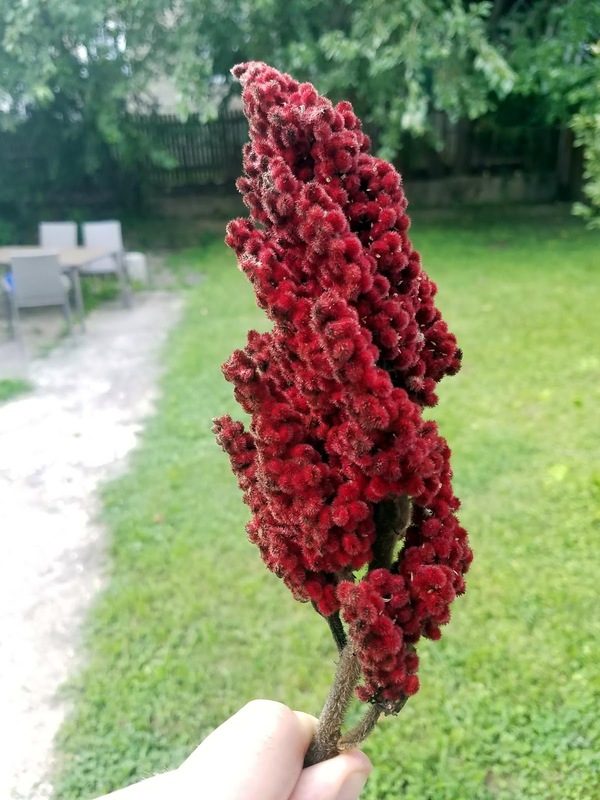 It caused me to learn and grow in areas that aren't really connected to beer or brewing. I understand that drinking a beer and checking in on Untappd is no-risk (I wrote a couple hundred reviews on BeerAdvocate), but it doesn't really lead to anything. Drinking beer is a diversion, brewing beer can change your life!